If you are planning a trip to California that includes Disneyland, or vice versa, this is the time. Yeah, because a couple of weeks we have great news affecting mainly the second park of the complex, namely Disney’s California Adventure. Here was first opened Cars Land, a huge area that faithfully reproduces the locations of the animated movie Cars. 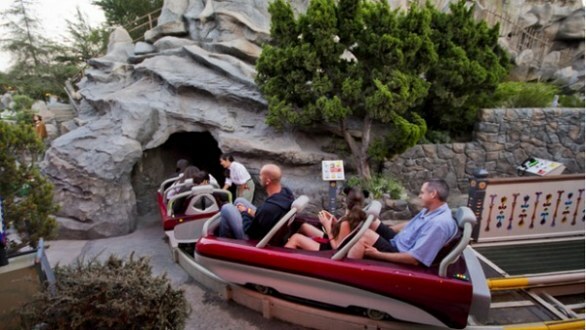 The attraction of the tip is a race car in the indoor part of the mountains, called Radiator Springs Racers. Then there’s Luigi’s Flying Tires, a sort of bumper cars on giant tires off the ground from the air, and Mater’s Junkyard Jamboree, which is based on the principle of rotating cups. In addition to this, remaining always inside Disney’s California Adventure, to signal the opening of Buena Vista Street. This is a Main Street, then a transit area without attractions, which plays a street in Los Angeles in the 20’s. It is crossed by an elegant red trolley that goes from one point to another, and the primary visual reference is the Chaparral Theatre, playing the film was screened as the first Disney film, ie Snow White and the Seven Dwarfs. But In this case it is a restaurant. Main Park has its own, smaller, of novelty. In particular, reopened after a renovation Matterhorn Bobsled, a roller coaster of the historical ones that winds around the Matterhorn in fact, playing in a small of the Matterhorn, which is located inside the park.